Fantastic in-depth look at a topic per season. Long breaks between seasons, but always worth the wait. Great analysis of controversial topics, done with brains and heart. Fascinating storytelling. It’s not easy being an undercover cop in a county of just 40,000 people. But drugs were making it hard for Bucky Culbertson to run his business, so he made it his business to get rid of drugs. The drug bust and the trial were a “farce,” but the full force of the law still came down on Keith Jackson — and thousands of people like him. That didn’t end the crack epidemic, so what did? President Donald Trump and Republicans in Congress rolled back a gun regulation last year that would have restricted some people with mental disabilities from buying guns. Now, this story isn’t about gun control, but the law they used to erase that rule and 14 others last year. It’s a tale that goes back decades, and it starts in Kenya in the 1960s. Along the way, we’ll meet a man in a white suit and an army of used car dealers. This story is also the last episode of our second season, all about who writes the rules, who gets to unwrite them and who gets written off. The U.S. Constitution doesn't mention corporations once. But if you want to talk about federal regulations, you have to talk about private enterprise, too. They're yin and yang, intertwined over centuries, locked in an eternal struggle. This week, we're tracing that history back to the 13 colonies, when corporations helped to create the basic framework of our democracy. And we hear how railroad companies, the country's first big homegrown corporations, regulated the people before the people regulated them.Subscribe to The Uncertain Hour podcast. We’re working on the next batch of episodes for season two, but this week we're taking a quick break over the holidays to bring you a sort of reporter’s notebook, a glimpse behind the scenes.First we’re going to answer some of your questions about the stories we’ve brought you so far in this season. 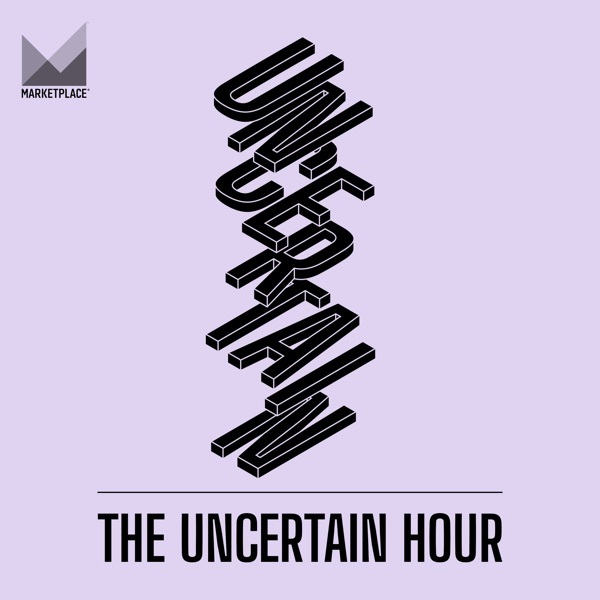 Then, because regulations have been in the news so much, we’re also wanted to give you some helpful context for what you’ve been hearing.Subscribe to The Uncertain Hour podcast. When OxyContin went to market in 1996, sales reps from Purdue Pharma hit one point particularly hard: Compared to other prescription opioids, this new painkiller was believed to be less likely to be addictive or abused.But recently unsealed documents in this investigative episode shed light on how the maker of OxyContin seems to have relied more on focus groups than on scientific studies to create an aggressive and misleading marketing campaign that helped fuel the national opioid crisis. For the past two episodes, we've been telling you the birth story of a single regulation, one of the most misunderstood, and yet pivotal, regulations in American history: The number of peanuts that should be in peanut butter. Today, that story comes to an end.We're picking up the action in 1965. It's been more than six years since the Food and Drug Administration discovered a bunch of big peanut butter brands were using fewer peanuts and more artificial additives. Those heavyweights went back and forth with the government, and consumer activists like Ruth Desmond made their voices heard. It all lead up to the surreal moment when peanut butter was put on trial.There's more to come in season two of The Uncertain Hour, where the things we fight the most about are the things we know the least about. Subscribe on Apple Podcasts, or your favorite podcast app. It's 1959 and Ruth Desmond, the gurney-climbing, cook-from-scratch co-founder of the Federation of Homemakers was prowling the halls of the FDA, about to earn her "peanut butter grandma" namesake. She stumbled upon this unassuming, but ultimately history-changing memo. It was four little paragraphs, a proposal to regulate one of the most popular foods in the country.The government was trying to answer an existential question: how many additives can you put into a jar of peanut butter before it's not peanut butter anymore? Trying to answer it kicked off a years-long battle that upended the, uh, peanut butter industrial complex. And honestly? Battles like this are how a lot of regulations get made in this country. Donald Trump, the business man president, isn't the first politician to rail on government regulations. In 1979 Jimmy Carter, the Democrat peanut farmer president, told a crowd: "It should not have taken 12 years and a hearing record of over 100,000 pages for the FDA to decide what percentage of peanuts there ought to be in peanut butter." That really happened. It's one of the most ridiculed, infuriating and misunderstood moments in American history, and it caught the attention of one Virginia housewife. Ruth Desmond, or the "Peanut Butter Grandma," as she came to be known, first traveled to Washington, D.C., to learn about the risks of food additives. She ended up taking on corporations, and tipping the U.S. into a regulatory state. This is her story.Welcome back to The Uncertain Hour. Where the things we fight the most about are the things we know the least about. Subscribe on Apple Podcasts, or your favorite podcast app. Loyal listeners of The Uncertain Hour podcast may have had motivational work songs stuck in their heads (our apologies! ).As you know, this season we dug deep into the story of what the heck welfare is today. Episode one featured music produced by a county welfare department in Riverside, California. We also annotated the lyrics to the first track. The album, "Work Makes the Difference," was created to play in waiting rooms, over PA systems and as the hold music for incoming calls. After that episode, we received many requests for the entire welfare-to-work, synth-pop CD. And now, finally, after many emails with the Riverside Department of Public Social Services, we are releasing what we hope will be your summer soundtrack. Enjoy.Welcome back to "The Uncertain Hour," the Wealth & Poverty desk's new podcast hosted by Senior Correspondent Krissy Clark. What's the best path out of poverty--work or education?Twenty years ago, welfare reformers came to this fork in the road and had to ask the question: Is it better to encourage welfare recipients to get a job, any job? Or is it better to support them while they get training and education that will eventually help them get better-paying jobs?In the end, welfare reformers adopted a "work-first" strategy that required most folks to work in order to receive cash welfare.In this episode, the what if....We meet two women. One dropped out of college so she could work and continue to receive cash welfare. The other was part of a program that allowed to finish her degree. When Brandi David discovered she was pregnant, she knew she wanted an abortion. Brandi was a graduate student at the time and didn't feel ready to be a mother. She wasn't sure where to go for help. But then she remembered a billboard at a busy intersection in South Bend, Indiana that she had driven by many times. It said: "Pregnant? We can help." So she called the number.What happened to Brandi next... well, that's what brings us to Indiana--the last stop on our cross-country trip where we investigate how states spend federal welfare dollars. If you're curious about how your state spends federal welfare dollars, check out this online tool from Marketplace. What do college scholarships, marriage counseling classes and crisis pregnancy centers have in common? In some states, they're funded by federal welfare dollars.We are continuing our cross-country tour where we drop in on states to investigate how they spend welfare money, known as Temporary Assistance to Needy Families or TANF. This week: Michigan. The state spends about $100 million a year in TANF dollars on college scholarships—and many recipients are from families that earn more than $100,000 year.Meanwhile, just 18 out of every 100 families living in poverty receives basic cash assistance.If you're curious about how your state spends federal welfare dollars, check out this online tool from Marketplace. What do you think of when you think of welfare? Probably something along the lines of help or money given to families living in poverty. Or, work requirements to receive assistance.But actually, in 2014 only 23 out of every 100 poor families received basic cash assistance. That's partly because states have a lot of discretion in deciding how to spend federal welfare block grants, known as Temporary Assistance to Needy Families, or TANF. States spend welfare money on the obvious things, like childcare and work-related activities. They also spend a significant chunk on some very surprising things, which you can see using this online tool from Marketplace.We took a trip to Oklahoma to hang out in a marriage class for middle-income couples, funded by — you guessed it — your taxpayer dollars. Perhaps more than any other group, women on welfare have been stigmatized. In this episode, we introduce you to two women who've relied on welfare through the years: Ruby Duncan, an 83-year-old welfare rights activist in Las Vegas, and Josephine Moore, a 59-year-old mother of six in Kermit, West Virginia.Duncan grew up picking cotton in rural Louisiana. As a young woman, she moved to Las Vegas where she worked as a maid in hotels and a cook in casinos. After an accident left her with severe spine damage, Duncan sometimes relied on welfare to support her seven children. The racial discrimination she experienced in the 1960s and '70s led her to become a prominent welfare rights activist.We first met Josephine Moore almost 20 years ago when Marketplace followed her transition from welfare to work. That was right after the Personal Responsibility and Work Opportunity Reconciliation Act (aka welfare reform) passed in 1996. So two decades later, we drop in on Moore where she lives, in a tiny coal-mining town, to see how life after welfare reform has been for her family. In the summer of 1996, on the lawn of the White House Rose Garden, President Clinton signed a bill that would dramatically transform the country's welfare system.Twenty years later, what the heck is welfare anyway? And we should make it clear — we're talking about cash assistance to poor families, not food stamps or medicaid.Welcome to "The Uncertain Hour," the Wealth & Poverty desk's new podcast hosted by Senior Correspondent Krissy Clark. In the first episode, we'll introduce you to the "Magic Bureaucrat" — the former director of a suburban county welfare office. You'll hear about his foray into synthpop music production and how he launched the welfare reform movement.Because the things we argue most about are often the things we know the least about.